Need a plumber or drain service? Call Roto-rooter NJ. Between your chaotic work schedule and hectic daily routine, even the smallest plumbing problems can be a huge inconvenience. 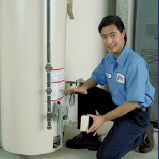 At Roto Rooter, we've made it our priority to respond quickly and fix efficiently. Whether you have a leaky faucet or a faulty sump pump, no problem is too big or too small. Owner, Chris Wodash is involved in your project from start to finish. No matter how large or small your job, Chris's involvement in every job ensures your issues are resolved completely and correctly the first time. Chris's philosophy is dependable workmanship at an affordable and accurate price, every time. With over 20 years of experience, Chris's and his team have built a reputation for providing personalized, professional, and prompt service at every call. 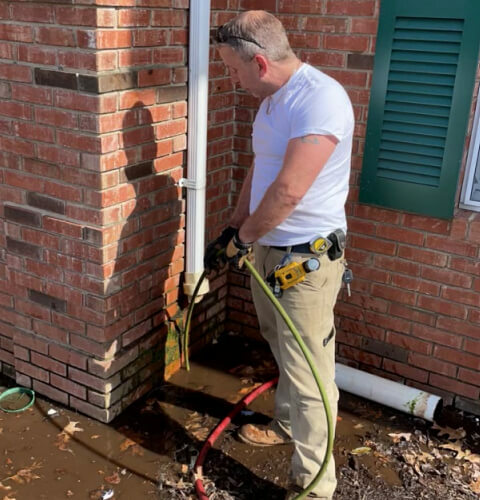 For the past 80 years, homeowners and business owners alike have trusted Roto Rooter with an extensive range of drainage and plumbing repair. 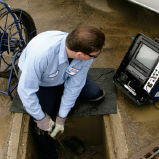 As NJ's top rated plumber, we employ the highest technology to detect the source of the problem as quickly as possible. This allows us to fix the problem more efficiently and effectively than other companies. 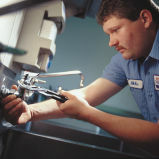 Rooter services handle both residential and commercial plumbing. Our residential plumbing service includes everything from repairing leaks and appliances to handling frozen pipes and water restoration. Our plumbers work throughout your house, covering the kitchen, bathroom, laundry room, basement, and outdoors. Our commercial plumbing services include everything from water main replacements to sewer line repair for small businesses and large corporations alike. Whether you schedule routine maintenance online or call in for an emergency repair, Rooter guarantees quality plumbing no matter what. Our Roto-rooter technician Eddie performing a sewer jetting service on a main line in Plainfield, NJ. As the best plumbing service in North America, we make it our mission to eliminate the hassle and time commitment of fixing plumbing problems on your own. We work quickly to fix the problem without disrupting your home or business. Call our local plumbers today for a free estimate from an affordable plumbing service you can count on. If you are seeking a reliable, affordable service for your drain or plumbing issues, then put your trust in the company that has built its reputation by standing behind every job for over 80 years -- Roto Rooter. Roto-Rooter serves most of NJ including the following towns and surrounding areas.